The Port Ewen Athletic Association sponsors a recreational soccer league hosted in the Town of Esopus. This league plays in the Fall each year. The program is designed for all ages and all levels of play. Registration for Fall Soccer 2019 will begin on 6/1/2019. Spring Soccer will not be offered in 2019. Children between the ages of 4 and 17 are eligible to play. Registration Fees are $50 per player. 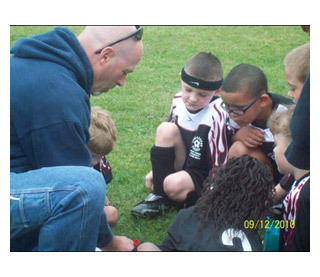 PEAA also offers an adaptive soccer league for children with disabilities. For more information, click on this link: Soccer Stars. As you well know, the P.E.A.A. is run by a volunteer effort of parents and adults just like you. We can't do everything alone. We need coaches, assistant coaches, referees, help with field preparation and general assistance with planning and operations. Any assistance you can offer will be greatly appreciated. Volunteer choices can be found on the registration form. We are only asking for a couple hours of your time to assist in making this a better league for the children. We are looking forward to another enjoyable and successful Soccer Season in 2019. To accomplish this, we need your cooperation and assistance. Please be aware that NO SMOKING IS ALLOWED ON SCHOOL PROPERTY. Also, verbal abuse of children, coaches, referees, or spectators WILL NOT be permitted. The PEAA officials will strictly enforce these rules and violators be asked to leave school grounds. Please feel free to email any question you may have to peaa@peaa.org. For a complete list of Soccer Rules by Age Group or Coaching Guidelines , please click on the appropriate link.